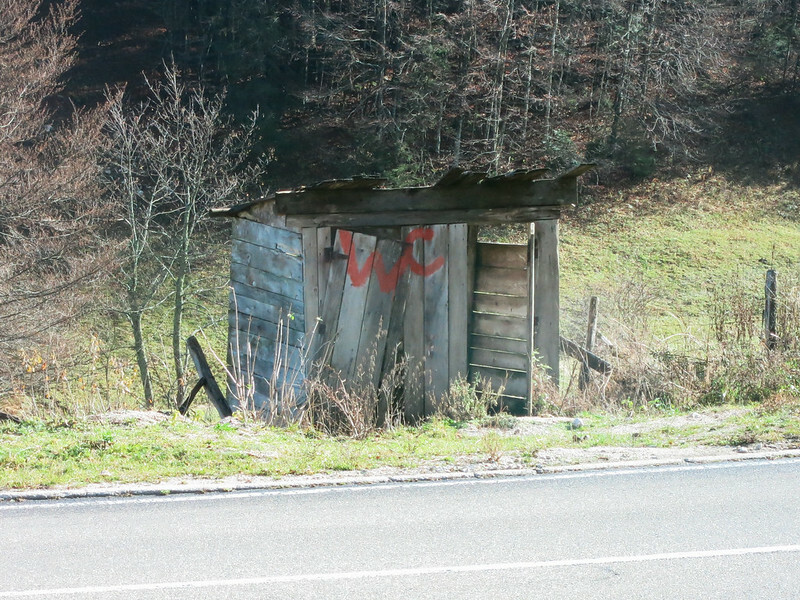 Fortunately, there was an English-speaking Serbian guy from Ottowa on the bus, and he led me to the bathroom on the side of the restaurant. It was a squat toilet but at least it had a door that locked. Thank you, friendly Canadian guy! I owe you my life. The bus felt like it was getting colder and colder, and it was only after I harassed the driver that he turned on the heat. The bus was so old that you could hear the crackling of the radiator as it warmed up. The man sitting in front of me stopped shivering and huddling in his jacket for warmth, and I stopped wondering if we were all going to freeze to death in this meatlocker of a bus. When we first crossed the border into Serbia, I finally saw what I’ve been looking for after weeks of plastering my face to bus windows and scouring the landscape: landmine signs. I had heard that these skull and crossbone signs were fortunately becoming more of a rare thing, but I was surprised to not have come across even one during my time in Croatia, which is still full of landmines. Anyway, I saw a bunch posted on trees bordering a wooded area in Serbia. The sun started coming through the clouds mid-way through our ride. I wouldn’t call the ride scenic (the ride from Mostar to Sarajevo certainly is), but we went up and down some pretty mountains and past small farms where sheep and pigs were grazing. The Serbian countryside isn’t as idyllic as the French one, but it has gently sloping hills and small towns dotting the rocky landscape. 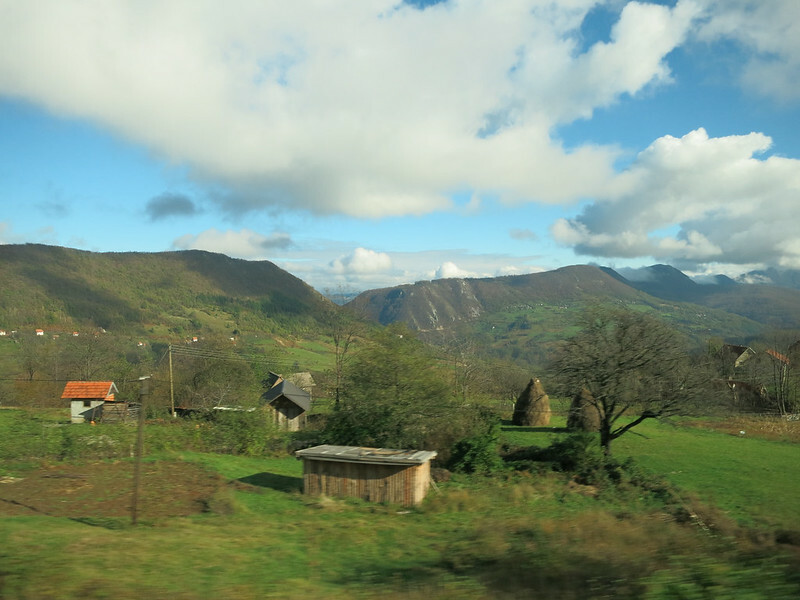 It’s definitely a good glimpse into the non-touristy side of Bosnia and Serbia. Farms dotted the green landscape, with sheep, goats, pigs and chickens. A makeshift stand selling random stuff by the side of the bus station during one of our frequent stops. 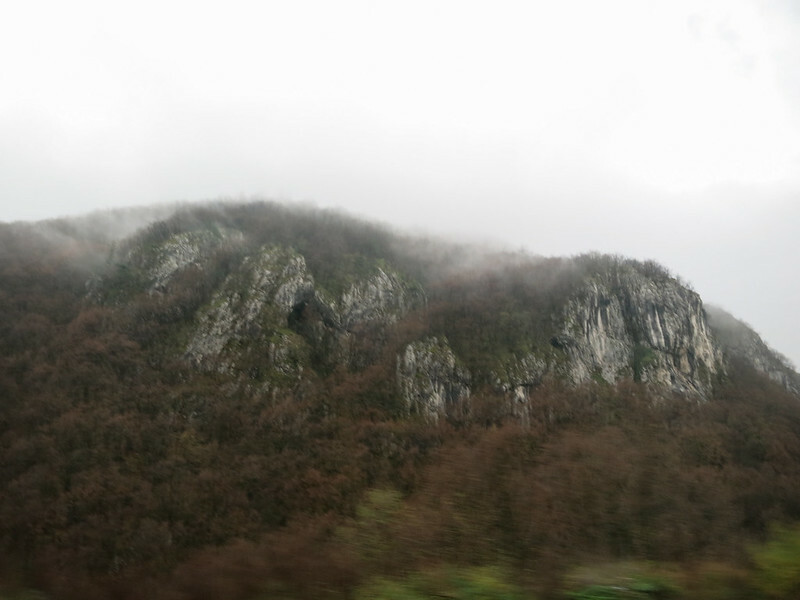 The land in this region is rocky and hilly. 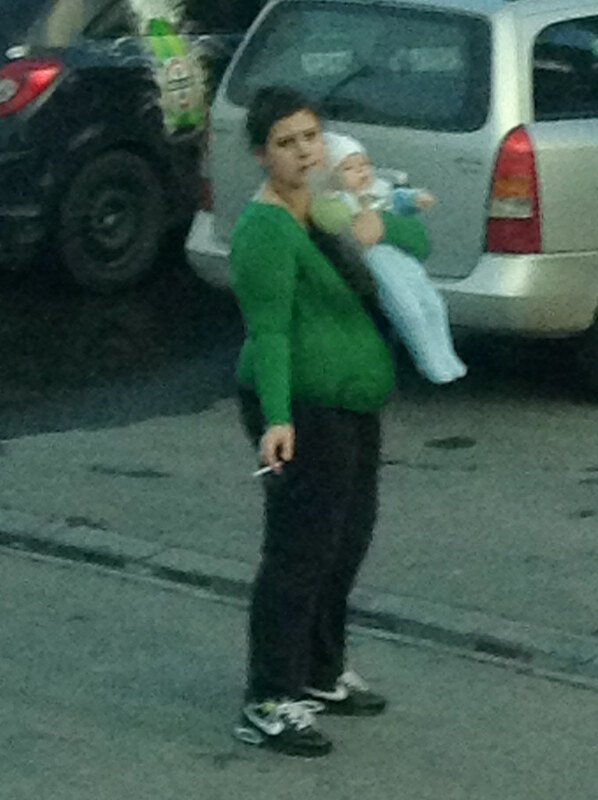 After we stopped for the thousandth time in front of yet another restaurant for a long bathroom/coffee break, we watched as a passenger clutched her baby in one arm and smoked with the other. Smoking is a big thing in the Balkans, and smokers themselves probably contribute pretty heavily to the region’s pollution. At least the driver of our bus was nice enough to crack open his window when he needed a cigarette in the middle of a 15-minute drive from one small-town bus station to another. 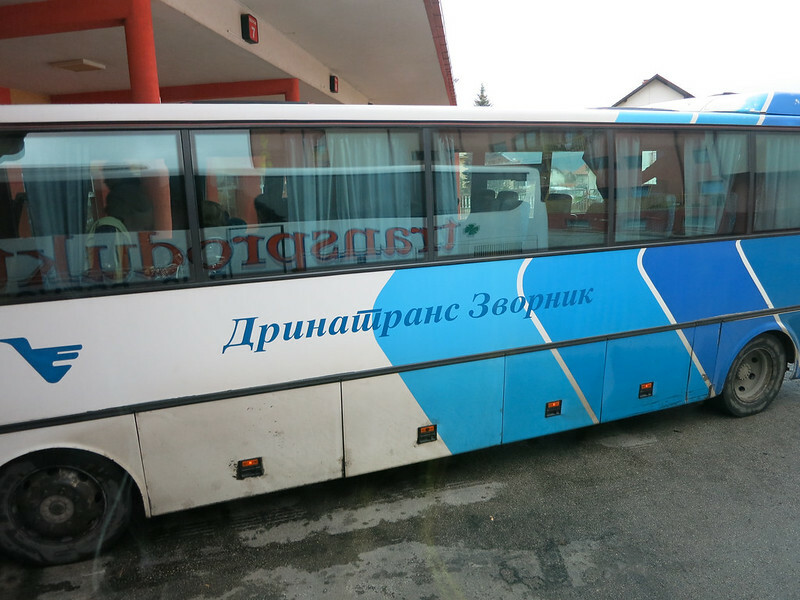 The bus shockingly got to Belgrade early, by about 30 minutes. I still can’t believe it. All in all, it was a decent ride, but mostly because the bus wasn’t even a third full and we were able to spread out. 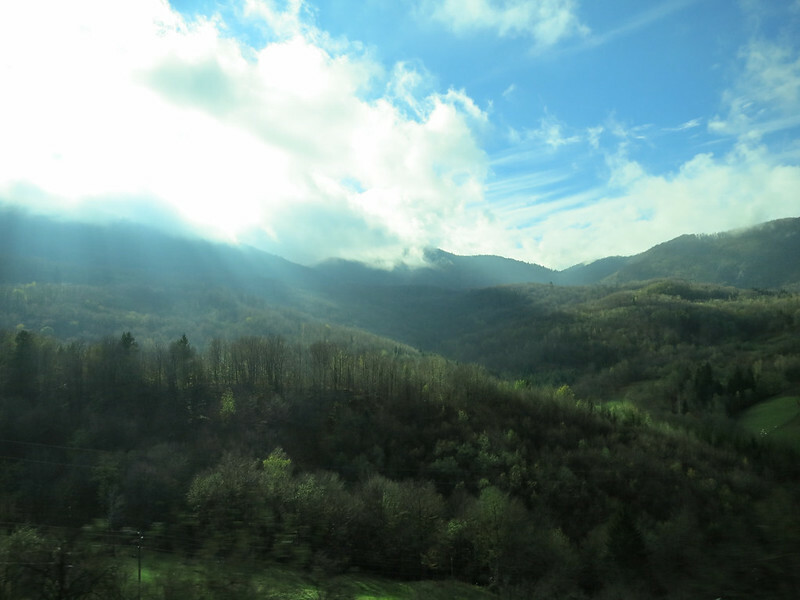 We’ve had our fair share of interesting rides, from the rollercoaster-like marshrutka rides in Russia to the restless 14-hour overnight bus ride from Vilnius to Krakow. But we can’t complain about the prices, and they also allow us to get a glimpse of the more local side of these places. We got off the bus and braced ourselves for our next obstacle course of shady cab drivers aggressively offering their services, and walked to our apartment in Belgrade.